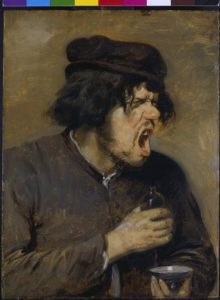 Adriaen Brower’s The Bitter Potion (1640) depicts a man’s reaction to the taste of a medicine – his face is contorted in an expression of deep revulsion (Figure 1). The image seems to confirm Roy Porter’s generalisation that ‘pre-modern medicine tasted foul’. Contemporary medical recipes and patients’ memoirs tell a more complicated story, however. While some remedies were full of bitter ingredients, others were pumped with sugar. Below, we will see why this was the case, and discover that the actual flavours of medicines sometimes bore little relation to how they were actually experienced. This research is part of a new Wellcome Trust project, Sensing Sickness, which investigates the impact of disease on the five senses, and uncovers the sounds, sights, smells, tastes, and tactile sensations of the early modern sickchamber. I also discuss some of these issues in my forthcoming open access book, Misery to Mirth: Recovery from Illness in Early Modern England (OUP, June 2018). 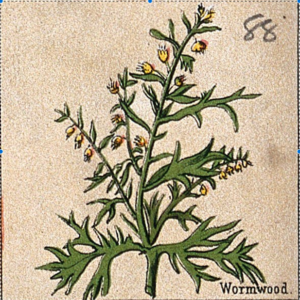 Amongst the most common bitter ingredients in early modern medicines were the herbs wormwood and aloes. Lady Barret’s remedy against ‘any illness in the stomach’ contains 4 drams of aloes, together with myrrh, saffron, and brandy. The Ayscough family’s recipe book suggests a remedy ‘to drive away agues’ composed of wormwood, marigold leaves, agrimony, and mugwort. A rare insight into the imagined reaction of a patient to these bitter drugs is provided in a collection of Italian medieval novels, published in English in 1620: as ‘soone as’ the man’s ‘tongue tasted the bitter Aloes, he began to cough and spet extreamly, as being utterly unable to endure the bitternesse’. Once taken, the mere sight of ‘the vessel in which the potion is kept’ is enough to provoke vomiting in some patients, wrote the physician William Bullein (c.1515-76). 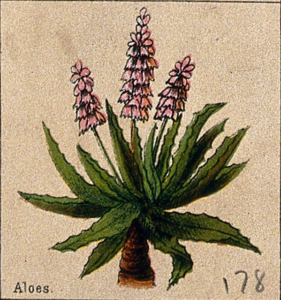 So notorious was the bitterness of aloes, it was used as a metaphor for describing any unpleasant experience, including pain, grief, and spiritual guilt. Why did medicines contain these bitter ingredients? According to popular legend, the medicine has to be ‘as bitter as the disease’ for it to work. This idea is rooted in Galenic understandings of disease and treatment. Disease was due to the malignant alteration of the body’s humours, the constituent fluids of living creatures, and it was removed when the humours had been rectified or evacuated. Bitter medicine facilitated this process in two ways – first, it helped ‘devide, [and] extenuate…grosse and clammy humours, that they may be ready to flowe out’ of the body’. Metaphors of cleaning were used in this context: the Dutch physician Levinus Lemnius (1505-68) averred, ‘the filth…of the humours stick no lesse to these mens bodies than the…dregs do to vessels, which must be soked…with pickle’, a bitter vinegary mixture, ‘to make them clean’. The second stage of evacuation was the movement of the humours from the body’s interior to its exit points, such as the bowels, where it could be expelled through defecation. Bitter medicines could be given to induce such movements. Lemnius explained that seeing that ‘attraction is made by the similitude of substance’, there must be a ‘natural familiarity’ between ‘the humour [to be evacuated] and the medicament’. Since the most noxious humours were bitter, medicines should be bitter too. Quoting Hippocrates, Lemnius expanded, ‘Physick when it come[s] into the body, it first…draws unto itself, that which is most…like unto it, then it moves the…humours…and forceth them out’. This idea was familiar to laypeople as well as doctors. Although bitterness was necessary for purgative physic to work, the ‘cunning Physician…tempereth his bitter medicines with sweet and pleasant drinke’. It was hoped that by disguising the bitter flavour, the medicine would be easier to swallow. This intervention was particularly important when it came to treating children, whose tolerance for bitter tastes was especially low due to the sensitivity of their taste-buds. This is still an issue today: in one survey, over 90 percent of paediatricians reported that a drug’s taste is the biggest barrier to completing a course of treatment. The most popular sweeteners in early modern England were sugar and honey. Speaking of her ‘speciall medecine’ for jaundice in c.1608, Mrs Corlyon instructed that ‘you must make it pleasant with Sugar according to your taste more or lesse’ (Figure 4). Anne Glyd’s recipe ‘Against the chin cough’ from the mid-seventeenth century states that it should be taken with ‘hony…or what the child likes best’. Intriguingly, these sweetened medicines did not always taste sweet. Recalling a recent illness, the natural philosopher Robert Boyle (1627-91), observed that some of his remedies had been, ‘sweetened with as much Sugar, as if they came not from an Apothecaries Shop, but a Confectioners. But my Mouth is too much out of Taste to rellish anything’. 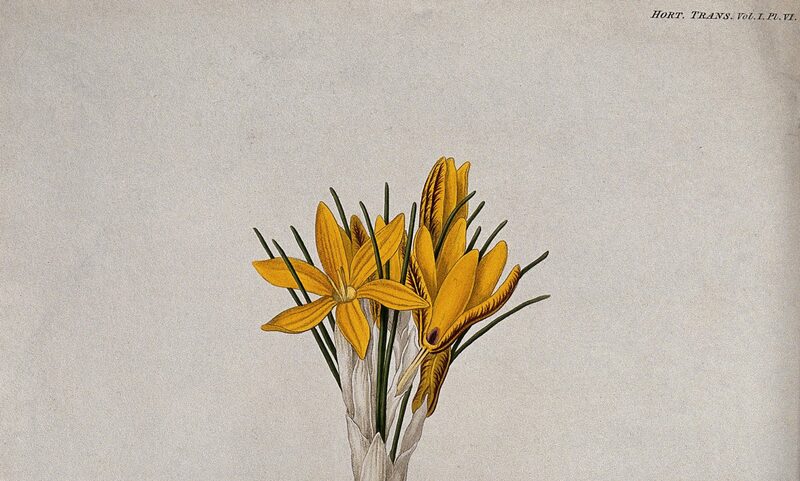 The Galenic explanation for these altered perceptions was that the organ of taste, the tongue, is ‘filled with some strange fluid’ during acute illness, which mixes with the gustatory juice of the medicine, so that ‘all things would seem salty to taste, or all bitter’. 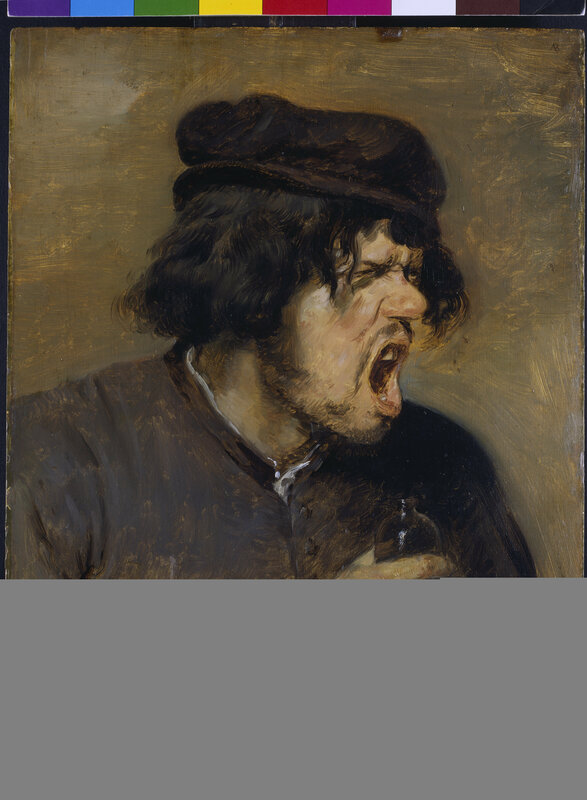 Other causes were the drying of the tongue from the ‘fiery heat’ of fevers, or the presence of bitter humours in the mouth. So familiar was the experience of altered taste that religious writers found it a useful metaphor to invoke when describing the more abstract idea that sinners fail to relish wholesome counsel. The Yorkshire minister Thomas Watson (d.1686), wrote in his treatise on repentance, ‘Tis with a sinner, as it is with a sick Patient[:] his pallat is distempered; the sweetest things taste bitter to him: So the word of God which is sweeter than honey-comb, tastes bitter to a sinner’. We tend to be disparaging about premodern medicines, assuming they were deeply unpleasant. This brief foray into the gustatory qualities of remedies demonstrates that such a reading is too simplistic, and does not take into account the often benevolent intentions behind the use of bitter treatments, nor the attempts of practitioners to make their remedies more palatable. In any case, I think we need to be more wary about assuming the actual qualities of medicines were perceived by patients, since many diseases impaired the patient’s capacity to taste. In the next stage of my project, I seek to discover how the other four senses were affected by illness and treatment. Roy and Dorothy Porter, In Sickness and in Health: The British Experience 1650-1850 (London, 1988), 105; see also Lucinda Beier, In Sickness and in Health: The Experience of Illness in Seventeenth-Century England (Cambridge, 1985), 170. E.g. Mark Frank, LI Sermons preached by the Reverend Dr. Mark Frank (1672), 391. A. T., A rich store-house, or treasury for the diseased (1596), preface. See also William Bullein, The government of health (1595, first publ. 1559), 9-10. William Kempe, The education of children (1588), image 31. Galen, ‘On the Causes of Symptoms I’, in Ian Johnston (ed. and trans. ), Galen on Diseases and Symptoms (Cambridge, 2006), 203-35, at 220-21, 189. This text was available in Latin in the early modern period, translated from the Greek by Thomas Linacre as De symptomatum differentiis et causis (1524). Helkiah Crooke, Mikrokosmographia a description of the body of man (1615), 631.